A shooting victim seeks vengeance after a groundbreaking implant gives him a new lease of life. Leigh Whannell is best known for his collaborations with fellow Australian genre filmmaker James Wan. As the writer of three instalments each of both the Saw and Insidious franchises, he's kept those series alive after Wan has departed for the world of blockbusters, and made his own directorial debut with Insidious: Chapter 3. 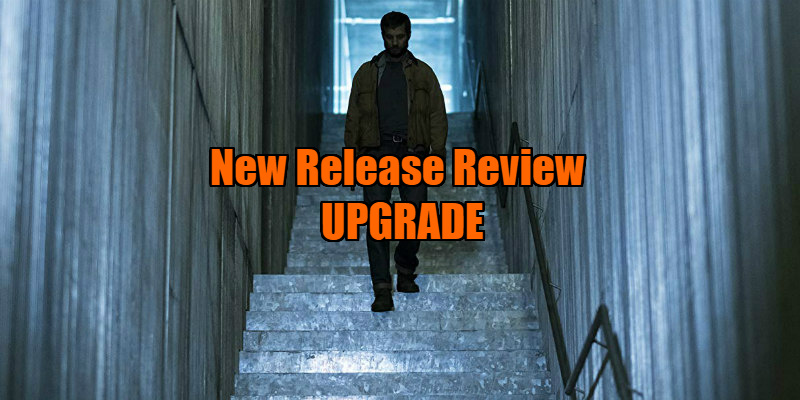 Upgrade sees Whannell step out of Wan's shadow, writing and directing a film that's wholly his brainchild, and it's the best thing he's contributed to since the original Saw back in 2004. Whannell's sci-fi thriller takes place in a near future where society has become so reliant on technology that most of the populace have computerised implants in their bodies (which allow the authorities to track them easily) and travel in self-driven cars. Unlike most people however is Grey Trace (Logan Marshall-Green, who if you squint, might be mistaken for Tom Hardy), a Luddite who makes a living refurbishing classic cars, listens to his music on vinyl and doesn't have so much as an earbud in his head - he's the very definition of an analog man in a digital world. That all changes when Trace and his wife Asha (Melanie Vallejo) are robbed and shot by a violent gang after their self-driving car malfunctions and crashes in a bad part of town. Asha dies from her wounds while Trace is left paralysed from the neck down until tech genius Eron Keen (Harrison Gilbertson, who if you squint, might be mistaken for Dane DeHaan) offers him the chance to walk again. Keen implants STEM, a revolutionary microchip, in Trace's spine, giving him back the use of his limbs. What Keen doesn't initially tell his guinea pig is that the chip is sentient, with the ability to communicate in a voice (performed by Simon Maiden) that only Trace can hear and also take over control of his body, turning him into a turbo-charged human specimen. After the initial shock, Trace realises that with STEM's help he can track down and take his revenge on the gang members who murdered his wife. As Trace bumps the baddies off one by one, STEM begins to exert more and more control over his human host, attracting the attention of Cortez (Betty Gabriel, who if you squint, might be mistaken for Sonequa Martin-Green), the detective assigned to solving Asha's murder. They say you can tell the age of a tree by counting its rings, and similarly you can tell the age of a filmmaker by the movies they reference. Whannell was born in 1977, making him a child of the 1980s, and anyone who shares his vintage will be reminded of the sci-fi thrillers and action movies of that era. Whannell draws heavily on Verhoeven and Cronenberg with his film's central theme of human bodies revived and 'upgraded' by technology, and the near future aesthetic and investigation plotline are reminiscent of Michael Crichton's '80s sci-fi noirs Looker and Runaway. The most direct antecedent however comes not from the sci-fi genre, but from a 1984 comedy - Carl Reiner's All of Me, in which Steve Martin finds himself playing host to the Lily Tomlin voiced soul of a physically dead woman. Marshall-Green is the Martin substitute here, and his role calls for much of the sort of physical comedy the silver-haired comic was known for as Trace's body is taken over by STEM, with whom he enjoys a similarly barbarous relationship to that of Martin and Tomlin. Marshall-Green pulls off the robotic movements with almost Chaplin-esque aplomb, and you really do get the sense that his limbs are under the control of a set of ones and zeroes rather than human nerves and synapses. The actor is equally physically convincing in the movie's many fight scenes, which Whannell shoots in relatively wide shots, allowing us to take in and savour the action, rather than cutting quickly and giving us headaches. It's fitting for a movie whose message warns of the danger of relying too much on technology that Whannell combines practical and CG effects with just the right mix of both to convince us that the action we're witnessing is playing out on a recognisably physical plane rather than a digital backlot. 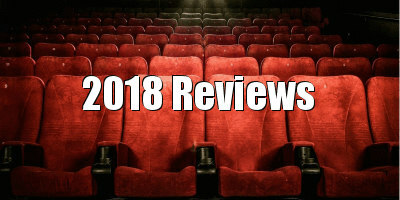 For its relatively miniscule budget of reportedly less than $5 million, Upgrade provides more spectacle than most of the mega budget sci-fi snoozers of recent years, and fans of '80s genre fare will be especially tickled by its simple pleasures and b-movie charms. On the evidence of what he's achieved here, I expect Whannell's career to experience an upgrade of its own in the near future. 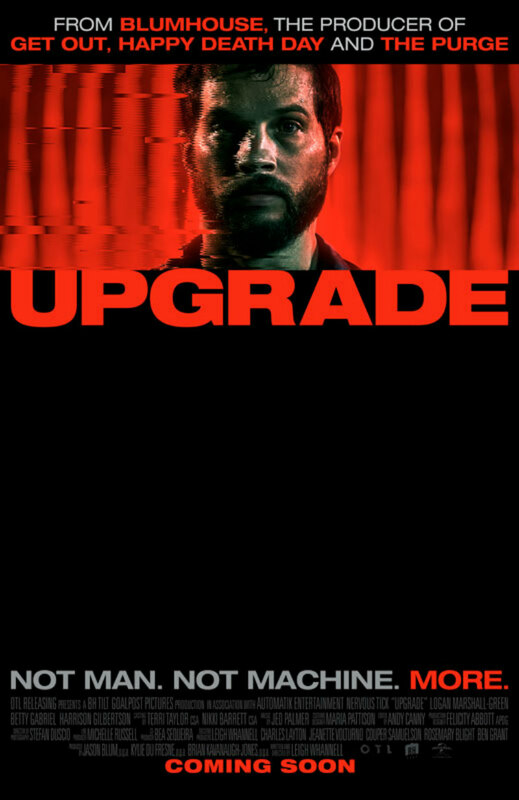 Upgrade is in UK/ROI cinemas now.